This USB-C hub turns your laptop or desktop USB Type-C port into four standard USB-A ports, one USB-A fast-charge port, and two USB-C ports. 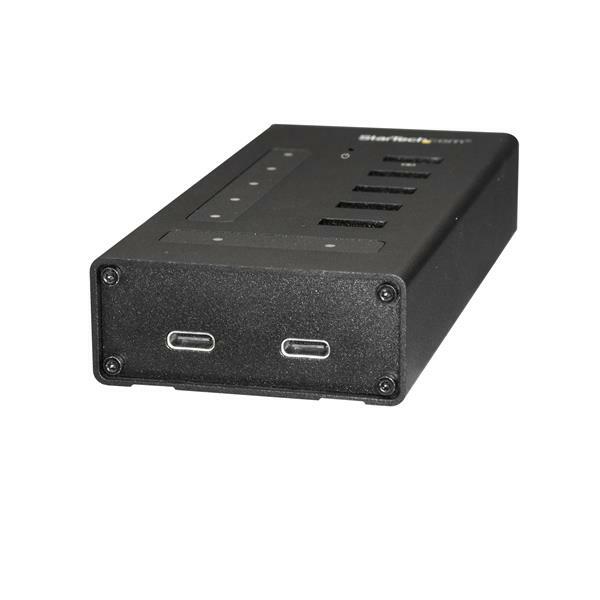 You can also extend the range of your USB devices by using this hub as a mid-point repeater. • The USB Type-C port is data only. 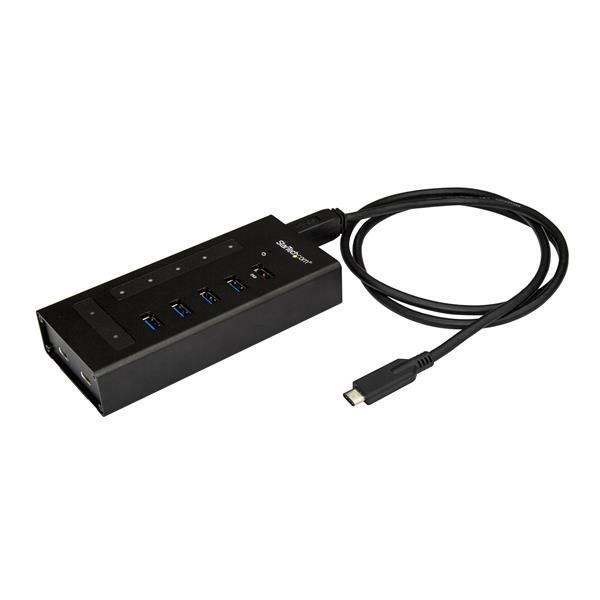 • USB 3.0 is also known as USB 3.1 Gen 1; this connectivity standard offers speeds up to 5Gbps. 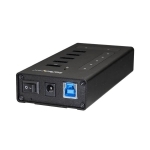 • The hub does not support DP Alt Mode or USB Power Delivery.